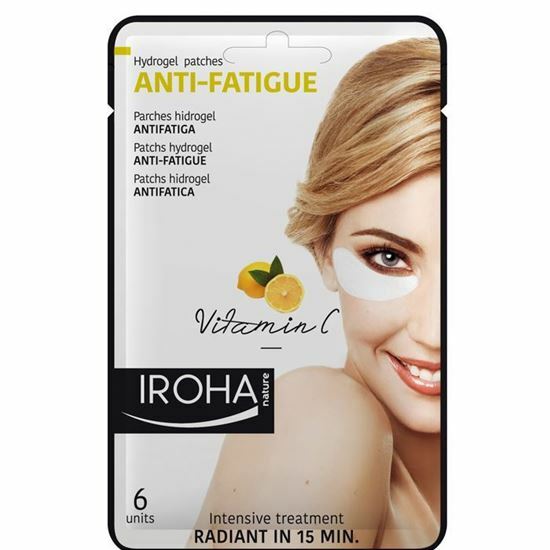 Iroha Nature's intensive hydrogel anti-fatigue eye patches with Vitamin C helps to reduce signs of fatigue by improving the appearance of eye bags and dark circles. Iroha Nature's intensive hydrogel anti-fatigue eye patches with Vitamin C. Helps to reduce signs of fatigue by improving the appearance of eye bags and dark circles. Hydrating properties, anti-edema and a skin tone unifier.